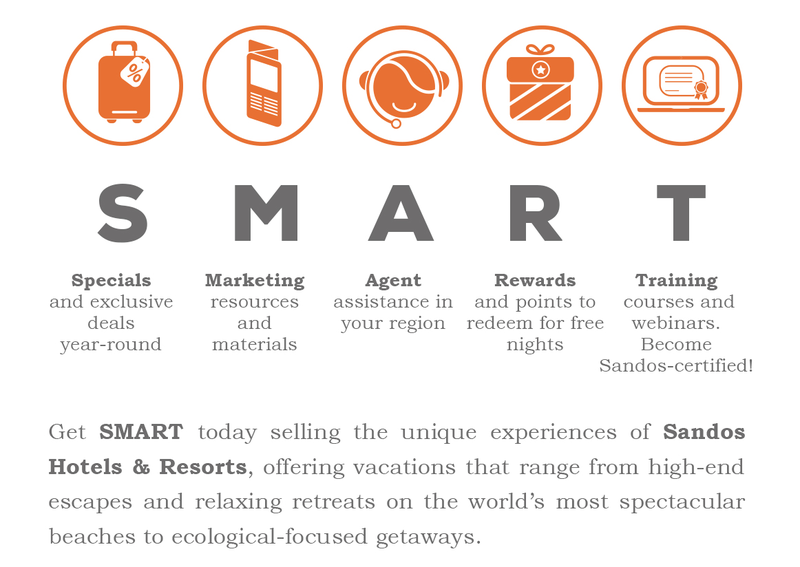 Marconfort SMART Agents is page created by Marconfort Hotels & Resorts that has been specifically designed to offer resources as well as training for travel agents who wish to increase the value of their business while earning rewards and benefits for themselves and their clients, so that they can be recognized for the important role they play as our business allies. To get full access to all the content available on Marconfort SMART Agents, just fill out the sign-up form and follow the steps outlined in the verification e-mail you’ll receive to confirm your travel agent profile. How do I get full website access? Go to the “My account” page in the upper right corner and click on “unlock full website access”. The website will ask you to upload a copy of your travel agent certification ID. Once this is done, your account will be updated and you’ll have full access to the website content, including the certification modules. If you need further help or more information, you can visit our FAQ page or contact the agent most convenient to you. If you're not a member, become a Marconfort SMART Agent and sign up now. See the new Marconfort SMART Agents virtual portal for travel agents. Get SMART sell the experiences you can find at Marconfort Hotels, offering relaxing holidays for families and for adults only on the country’s warmest coastlines.